“I been feelin’ kinda strange lately. I don’t know what’s going on, baby. “Feeling kinda strange lately” has been real for me, and this relationship I have with creativity. Just when things are coasting and we’re on the up and up, one of us starts a fight. We try to be so stealth ninja strategic about our next move that we over think it. We feel like frauds when we don’t have any ideas. We consume so much we mute our own thoughts. We sit at the desk, go to the studio or visit a coffee shop to meet the muse and his shady behind doesn’t even bother show up. Even when it’s painful, we SHOULD create–just in an adjacent medium. If you’re a writer like me, play with paint**. If you’re a painter, play with clay. If you’re a sculptor, play with sound. So on and so forth. 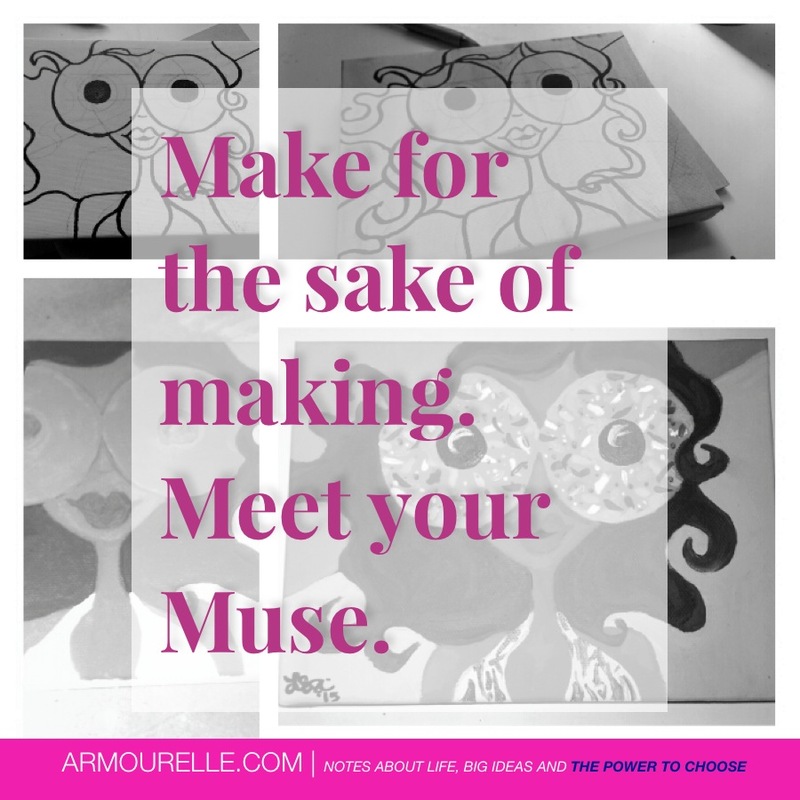 You’ll be surprised at how the Muse rewards you when you relax and enjoy making for the sake of making. *Yes, ‘discouraged napping’ is a very real thing. **Want proof? See the photo above. It’s ugly, but it sho’ll did help.